The library is constructed in such a way so as to facilitate students learning. It comprises reading rooms, journal section, facilities for photo copying, data processing and internet browsing with good collection of latest edition of books and journals of both Indian and Foreign publications. 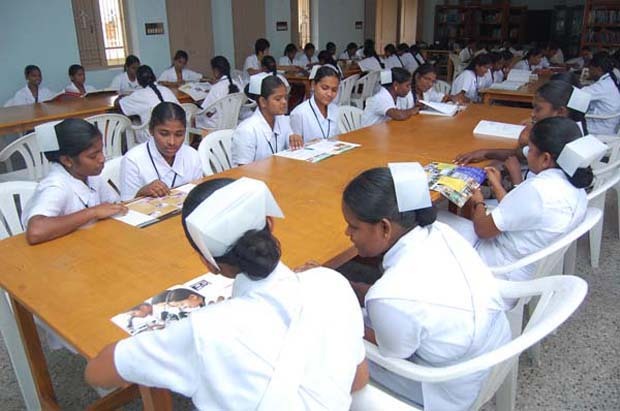 The clinical experiences for our students are offered in well equipped and highly standard hospitals. 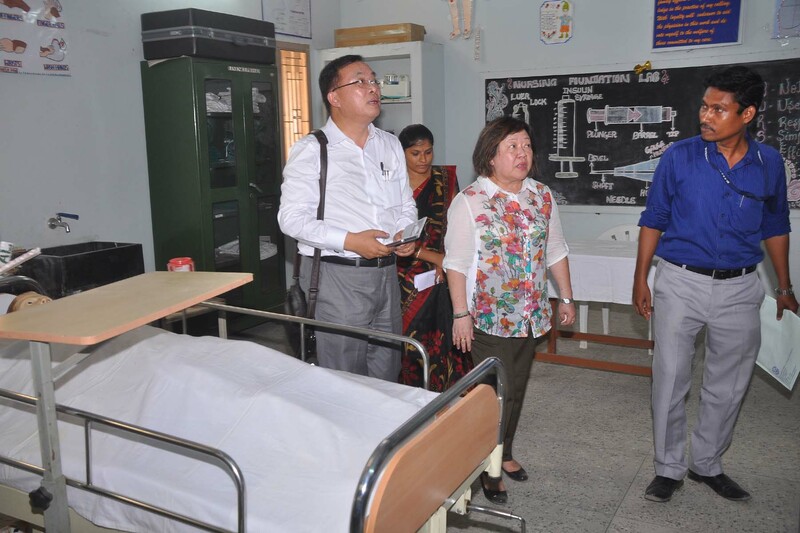 A variety of patients are available for the students in these hospitals to learn the different stages of illness in males and females of all ages. The faculties are posted for guiding the students in all the areas at a ratio of 1:10. The hostel block has been built in a modern style and it is in the middle of a garden which gives a stress less and a fresh feeling. 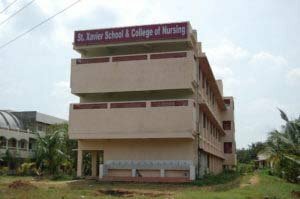 The hostel facilities are compulsory for all the students. We facilitate the students with spacious, well furnished room with intercom facilities. There is a Modern dining hall for serving nutritious, hygienic, vegetarian and non vegetarian foods. Recreation room, sanitary facilities, electricity and good water supply are available for 24 hours. 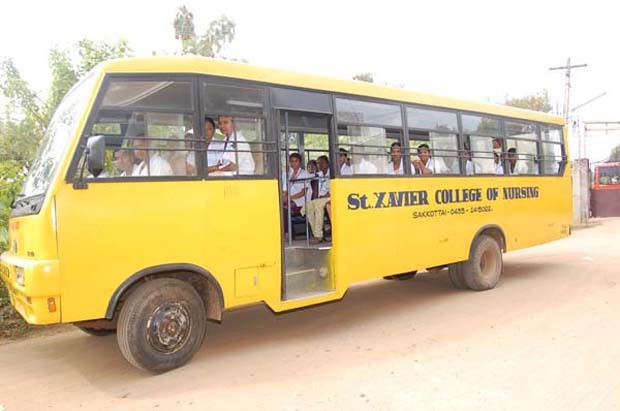 The students are facilitated with college buses to pick them up from hostel and bring them to college and to clinical on time. The transformation of students as outstanding professionals truly lies in the hands of the faculty in any educational institution. The St.Xavier School and College of nursing has distinct faculty with post graduate qualification coupled with vast experience, gleaned from the clinical field.